Turkish warplanes once again bombarded the border areas of Duhok province on Wednesday, according to basnews.com. The airstrikes targeted the vicinity of Bakirman village near Akre district, a local official told Kurdistan 24. 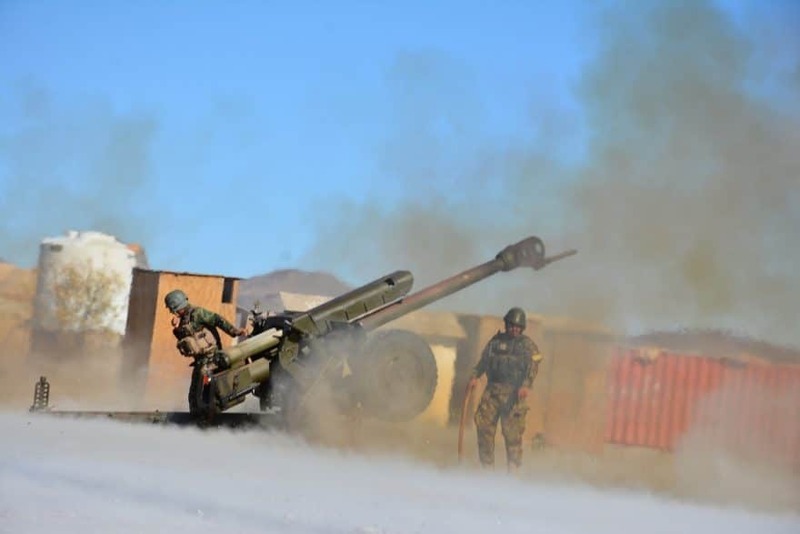 No casualties or serious damages to resident’s properties were reported, the official said, noting that, however, the bombardment caused panic among the villagers. 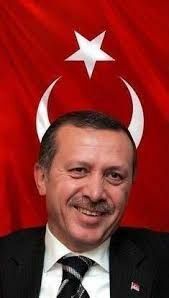 Turkey often attacks the border areas of Kurdistan Region, allegedly targeting the position of Kurdistan Workers’ Party (PKK). The Kurdistan Regional Government (KRG) has repeatedly called on both Turkey and PKK not to use its territories to settle their disputes as hundreds of its border villages have already been evacuated for Turkey-PKK conflicts. The richly disastrous mess that is Libya has been moving into another phase of inspired aggression at the hands of General Khalifa Haftar. As he does, UN-backed Prime Minister Fayez Al-Sarraj is anxious. For some three weeks, the General’s eastern forces, known as the Libyan National Army (LNA) have been edging towards the capital of the fractured state in a hope to remove the “remaining terrorist groups” in the region, like reported by counterpunch.org. General Haftar, veteran of the Libyan war in Chad during the 1970s and 1980s and touted past collaborator with the CIA, has preferred to spoil the party with his own effort to besiege the capital, despite efforts on the part of Western diplomats to discourage him. His argument in attacking Tripoli since the chaos of 2011 has been directed at the feeble efforts of Libya’s interim figures, whom he accuses of being oblivious to the Islamist militia problem. His response to the militia problem has been to create his own ragtag grouping of militias. It takes one to get rid of one. Al-Sarraj is doing everything he can to assure that his forces will play by the rules of international humanitarian law, hoping that this will keep him in the good books and add him to others. A counter-offensive has begun, and clashes have been reported in Wadi Rabea, Airport Road, Ain Zara and Khalit Al-Furjan. As the recognised government struggles, old formulae of accusations and suspicions are also playing out. Al-Sarraj and his colleagues are convinced the general is getting support from external sources, though their finger pointing is somewhat awry. Of little doubt is the assistance Haftar is receiving from the United Arab Emirates and Egypt, which have done their bit to add some polish in terms of equipment to the LNA. European politicians are observing the latest round of violence with concern less for the humanitarian consequences to Libya than the clouded security picture that will follow. “If the war persists,” warns former Italian Interior Minister Marco Minitti, “all those fleeing the clashes will turn into refugees per the international conventions, thus bringing among them foreign fighters from Syria and Iraq who usually use chaos to transport from one place to another.” How inconsiderate of them. The French response has been one of shrugged shoulders, and some regret. But the final picture here is one of typical, undermining indifference. It was France who, helped by the United Kingdom and the United States, led the campaign to oust Muammar Qaddafi with catastrophic consequences for a state that has ceased to be. Since 2011, to call Libya a functioning political entity has been a charade of grotesque proportion assisted by forced theatre on the diplomatic stage. The post-2014 civil war in the aftermath of the ejection of the internationally acknowledged Libyan parliament by forces working with the Libyan Muslim Brotherhood, has seen continuing, crippling conflict. What is distinctly not a charade are the deaths and refugees that are growing in number, meaning that this failed state is on track to become the next blood soaked Syria. Exactly a month after losing its final piece of territory, the Islamic State is giving notice that it can still surprise the world—this time in Sri Lanka. On Tuesday, it claimed responsibility for Easter bombings of three churches and three popular hotels which killed more than three hundred innocent civilians, including more than forty children, and injured another five hundred, like reported by newyorker.com. Evidence beyond the claim is far from definitive. But Sri Lankan Prime Minister Ranil Wickremesinghe said, at a press conference, that government officials had early suspicions about ties between isis and two local Muslim extremist groups. So did U.S. counterterrorism officials. “Everyone believes there was some kind of external link because of the sophistication of the attack,” a U.S. official told me. The scope of the attacks in Sri Lanka reflects the ongoing danger from extremist movements, whether isis, Al Qaeda, their offshoots, or their wannabes. The routing of Al Qaeda in Afghanistan, in 2001, and the death of Osama bin Laden, a decade later, did not eliminate Al Qaeda. Today, the group has active branches in the Arabian peninsula and North Africa, and it controls a strategic Syrian province on the border with Turkey. In the past two years, isishas lost territory the size of Britain inside Syria and Iraq, but it still has eight official branches and more than two dozen networks regularly conducting terrorist and insurgent operations across Africa, Asia, Europe, and the Middle East, according to the U.S. National Strategy for Counterterrorism. In 2018, isis was linked with at least three thousand six hundred and seventy attacks worldwide, according to the BBC monitoring service. The Islamic State claimed responsibility for more than three hundred attacks in Afghanistan, more than a hundred and eighty in Egypt, about six dozen in Somalia, more than forty each in Nigeria and Yemen, and twenty-seven in the Philippines. Sri Lanka was, in some ways, a curious target for isis. The South Asian country—like its neighbors India, Pakistan, and Bangladesh—has never been a member of the anti-isis coalition, which included more than a third of the world’s countries. Sri Lanka is about three thousand miles away from isis’s fallen caliphate—and twice as far from New Zealand. Sri Lankan officials blamed two little-known local extremist movements—National Thowheeth Jama’ath and Jammiyathul Millathu Ibrahim—for the attacks. But neither was known to have links to isis until the video released Tuesday showed the perpetrators pledging allegiance. 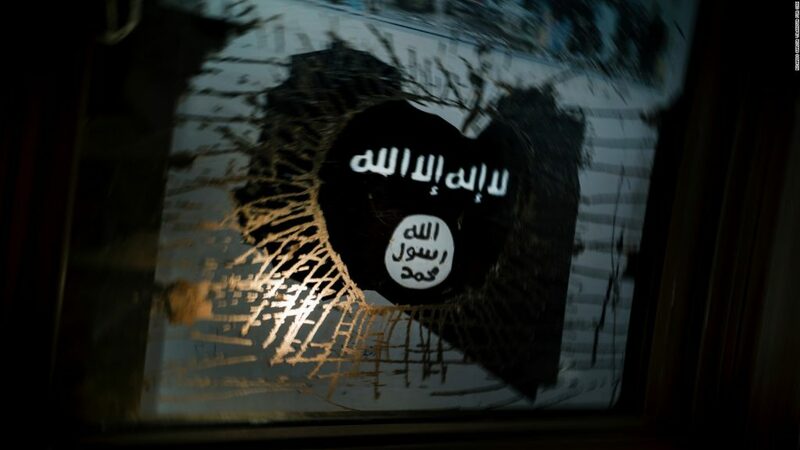 The ties between isis and like-minded jihadi groups can range widely—from local groups espousing propaganda that imitates isis to the jihadi movement furnishing material support in planning specific attacks to local groups. A case of four Moroccans, who were arrested for beheading two female Scandinavian tourists, in December, underscores the difficulty in deciphering the depth of ties between isis and wannabe cells. In Morocco, the government concluded that the men, who attacked the women in the Atlas Mountains, were acting on their own initiative, despite having pledged allegiance to isis. In the past, the jihadi movement has had to “accept” the pledge in order for a group to be formally embraced. In the Moroccan case, isis did not accept bayat publicly or on social media. The group’s reach now runs across Asia. Last year, an isis affiliate in Indonesia seized part of a high-security prison guarded by élite counterterrorism troops. Indonesian security forces eventually regained control—but not until after the Islamic State transmitted videos of detainees waving the black-and-white isis flag and pictures of murdered prison guards. Hoffman said that al-Baghdadi appears to have successfully shifted isis’s focus from its center to its branches, which has enabled the group not only to survive but to spread geographically—most recently to Sri Lanka. “You don’t survive as a terrorist movement, and continue to evolve to more lethally effective, heinous manifestations like isis without an enormous organizational and ideological resilience,” as the staggering death toll in Sri Lanka demonstrates. 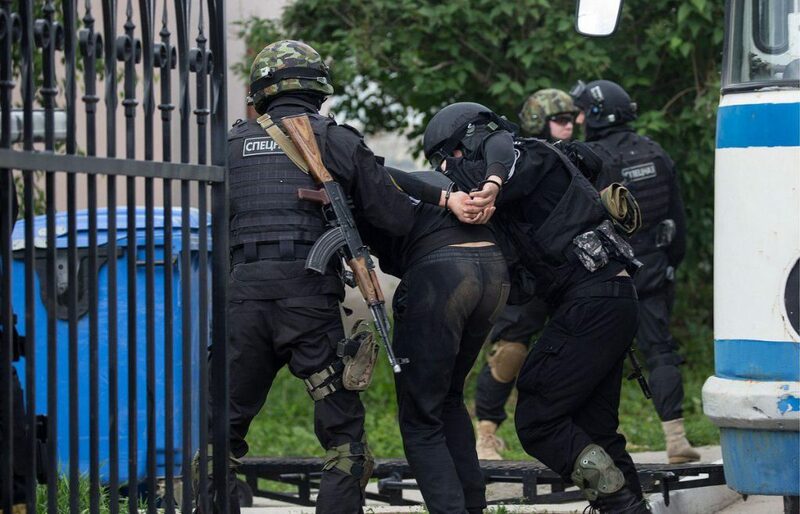 The Federal Security Service (FSB) reported the arrest of five members of a clandestine cell of the terrorist movement Islamic State (IS), following operations in Majashkala and Grozny. During the actions of the FSB and the Ministry of Interior in the capitals of the Russian republics of Dagestan and Chechnya, it became known that those arrested were preparing to carry out attacks in the cities of Kaspisky and Grozny. In addition, five anti-personnel grenades, two magazines for a Kalashnikov automatic rifle, 80 rounds of ammunition of different caliber, three commando knives and recordings of suicide speeches were seized from the detainees’ homes, FSB said. Recently, Russian security also reported on the elimination of another terrorist cell in the Russian region of Tyumen. Previously, the Russian National Anti-Terrorist Committee (NAK) reported that in the last nine years, security forces managed to reduce terrorism-related crimes by 100 times. The NAK reported at the time that it coordinates with the Ministry of the Interior, Justice, Education, Health and Communications to identify the formation of a terrorist group from its first steps. In addition, emphasis is now being placed on prophylactic activity to avoid influencing the social networks of international recruiters, who work actively on the Internet. Multidisciplinary groups can help, for example, to identify young people with violent behaviour or suicidal tendencies, many of whom fall or are at risk of falling under the influence of extremist formations. The French Council of State has rejected appeals by families of people who had gone to Syria to join the Islamic State armed group, to allow their relatives to come home. France has said there would be no communal repatriation from Syria, and that the decision to allow children and relatives of jihadist fighters to return would be decided on a case by case basis, like reported by rfi.fr. The Council of State, which acts as legal adviser to the French government and top arbiter of administrative cases, ruled Tuesday on four cases, three involving French women linked to the Islamic State who are currently being held, with their eight children, in a camp in Syria, and another filed by an uncle trying to have two young children repatriated from another Syrian camp under Kurdish control. After looking at the requests on appeal, the Council said it did not have jurisdiction to decide the matter. It said allowing the women and children to return to France would require “negotiations with foreign authorities or an intervention on foreign soil,” which was beyond its remit. Up to 1,700 French nationals are thought to have travelled to Iraq and Syria to fight with the IS jihadists between 2014 and 2018, according to government figures. Around 300 are believed to have died in combat. Hundreds of French and other foreign fighters and their families are being held in camps by the Kurdish-led Syrian Democratic Forces, which led the final push against IS in Syria. According to the UN children’s agency UNICEF, around 3,000 foreign children from 43 countries are being kept at the Al-Hol camp in Syria alone, which has taken in most of the people fleeing the defeat and collapse of the Islamic State. Kurdish officials have warned they do not have the resources to hold all the captured fighters indefinitely. But repatriation is politically fraught, and France has been wary of allowing any mass returns. Earlier this month Interior Minister Christophe Castaner said that “no communal repatriation” would be considered, and each situation would be studied individually. Last month, authorities for the first time brought home five orphaned children of French jihadists from camps in northeast Syria. 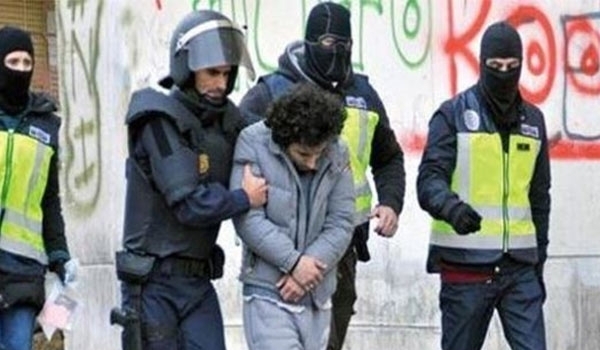 Moroccan authorities said Tuesday they had arrested seven militants with links to ISIS, like reported by aawsat.com. An initial group of six suspects, aged between 22 and 28, were “supporters” of ISIS and suspected of planning “terrorist acts”, the central bureau of investigations said in a statement. They were arrested in the coastal town of Sale, near Rabat, in a raid led by the bureau’s anti-terrorism squad. Electronic devices, bladed weapons and “extremist” documents, were found during the raid, it said. Investigators later said a seventh person had been arrested in the Western Sahara town of Dakhla on suspicion of links with the Sale detainees. What is happening across North Africa, from Mauritania to Libya and many points in between, is of critical interest to European actors, like reported by eurasiareview.com. European strategic interests are increasingly at stake because of the struggle over North Africa’s immediate future. Libya is a central focus, but the entire North African coast and its hinterlands of the Sahara are within the scope of the current contested space. France’s strategic interests in the region are driven by security requirements, from immigrants to energy. The Sahel and the Maghreb fall within the current scope and this activity is seen in Mali, Niger and Libya. It’s likely that a motivating factor for Paris’ reported support for Khalifa Haftar was to stabilize neighboring Chad, where the main heart of French interests lies. Algeria and Sudan also need to be considered in terms of the strategic layout for Paris. France’s North African mission is turning into a major security priority. Italy is seeing its remaining strategic interests fall outside of its immediate arena of control in Libya, and it is arguing with France sharply over the latter’s objectives in Libya. Rome is ultimately sharing many of the same security concerns involving immigrants and energy. Both France’s Total and Italy’s Eni have major investments and infrastructure throughout the region. To be sure, relations between Italy and France, who are traditionally close allies, have grown cold since the far-right League and anti-establishment Five Star Movement formed a coalition government last year and targeted French President Emmanuel Macron. Italy accuses France and specifically Macron of doing nothing to help handle the hundreds of thousands of mainly African migrants who have reached Italy from Libya in recent years. Thus, France and Italy are functioning in an area of power politics to determine what is best for their respective security interests, rather than for a joint European approach, especially as they are the two countries to have been facing the North African security problem for decades. To be at this juncture illustrates that no lessons have really been learned about the requirement for European cooperation on such serious matters. Beyond the France versus Italy divide, the UK is suffering from Brexit and it shows in North Africa because London is focused inward, except on a few key issues outside of this specific arena. Brexit is also naturally dividing Europe at a key juncture in North African history, as many countries are in various states of transition. 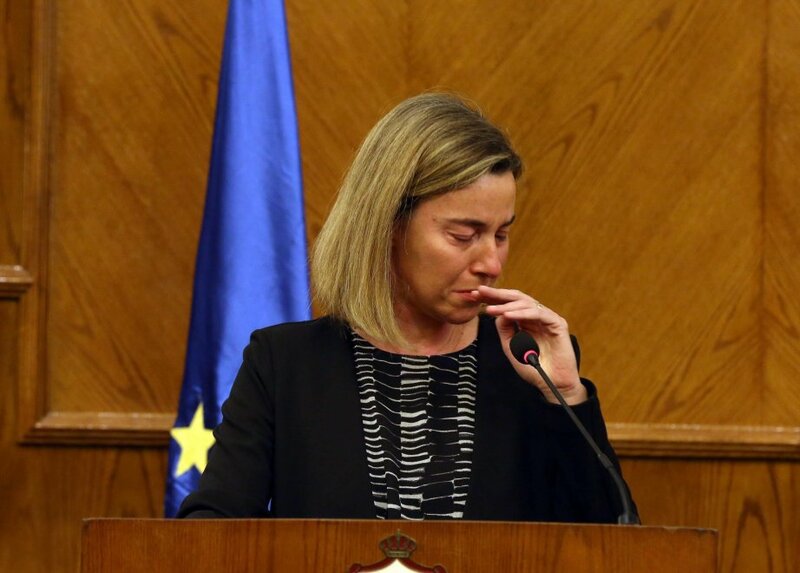 North Africa’s many recent changes in leadership have been welcomed by the EU. The bloc’s policy is concerned with the countries of the region adhering to counter-terrorism and counter-narcotics programs during this period of time. But immigration remains the highest priority and, as has been the case since the migrant crisis began, there has been a lack of adherence by member states to central EU policy. Internal tensions within key EU states have created the environment today where France sees the necessity to step forward ahead of continental interests. Germany seems to be late coming in to the game, and it is focusing on its neighbor to the east, Russia. It was under the German chairmanship of the UN Security Council that a joint statement against the advance of Libyan National Army commander Haftar toward Tripoli failed. Russia, as it has so many times before, stood in the way. More to the point regarding the German government’s view is that Berlin is standing back from the French-Italian confrontation over North Africa and specifically Libya. The response from German government spokesman Steffen Seibert was “say nothing” to the question of whether Germany knew about the French support for Haftar. Now the German Foreign Ministry is assuring that it is “in discussions” with its partners in Italy and France. Germany retreated on the topic when it came to mediating among its European allies. It failed to openly confront countries like France and Italy over their disjointed stances. This inability to agree opens the door to the ongoing transition being done on Arab terms in a more robust way then previously seen. Russia sees European disunity over Libya and North Africa as a weakness and consequently has been achieving an impressive build-up of good, stable relations with many countries across the region. The transformation of key states such as Algeria, Libya and Sudan is playing perfectly into Russia’s favor because of this broken security environment. European states need to recognize that their own internal bickering is creating the conditions for Moscow to become an alternative center, much like the Kremlin did with much success in Syria. Overall, Europe’s division is helping to reshape the North African security environment by ceding some of the responsibility to regional states. These states are thus getting heavily involved, which can be seen as a requirement of key Arab states to help make up for Europe’s shortcomings and to partner with those who demonstrate the most resolve and strength. 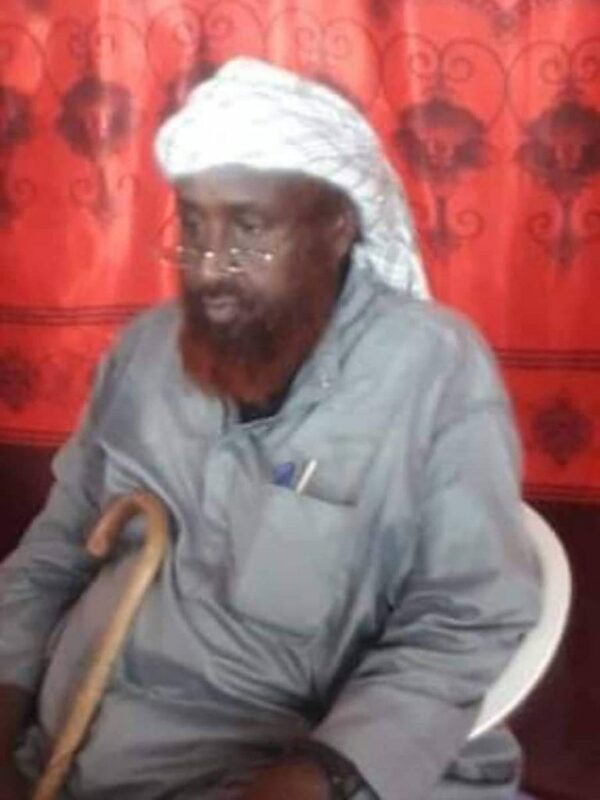 Somali officials say a senior al-Shabab official has defected from the group and surrendered to the Somali government in the southwestern Gedo region, like reported voa.com. Officials say Aden Abdi Mohamed known as “Aden Obe” surrendered Tuesday near the main Bardhere town. Aden Obe surrendered with another al-Shabab official identified as Food Aden Mohamoud who is described as a taxation official. Obe held various positions with al-Shabab, including Consultative Council member, and head of Social Affairs. Most recently, he worked for al-Shabab as head of logistics in Lower Jubba region, according to Somali officials. Deputy Governor of Gedo region Mohamed Hussein Al-Qaadi said the two men have been in contact with federal government officials who convinced them to defect. 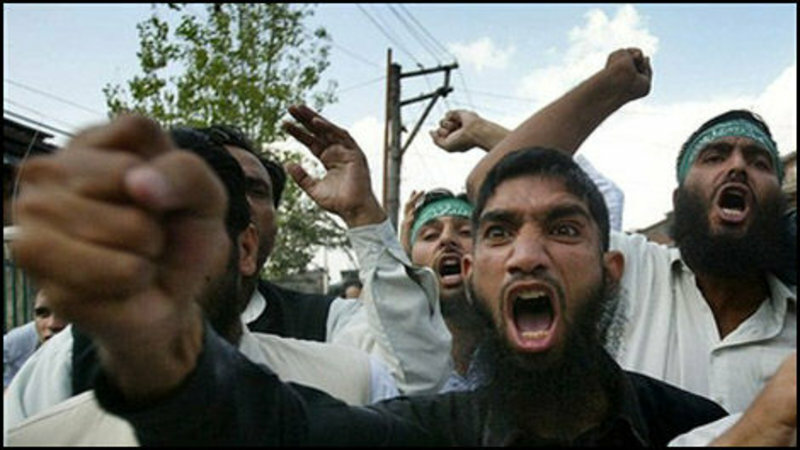 He said their defection is a “setback” to al-Shabab. Obe previously was a member of the Islamic Courts Union which ruled south central Somalia for six months in 2006. Ten women repatriated to Kosovo from Syria at the weekend have been placed under house arrest on charges of participating in terrorist groups, a court said on Tuesday, like reported by sbs.com. They were among a group of 110 Kosovo citizens brought back on Saturday from Syria, including 32 women, 74 children and four jihadists who had gone to fight in the country’s civil war. The four fighters were immediately arrested and detained for one month awaiting questioning. The state prosecution said all 32 repatriated women are under investigation and more of them are expected to appear in front of judges on Wednesday. The prosecution has yet to file indictments. Kosovo’s population is nominally 90 percent Muslim, but the country is largely secular in outlook. 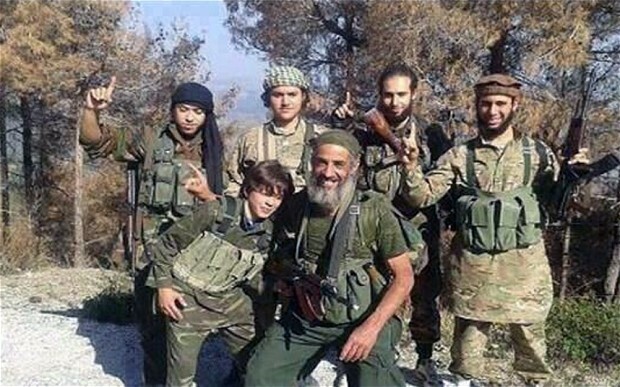 More than 300 of its citizens travelled to Syria since 2012 and 70 men who fought alongside militant groups were killed.